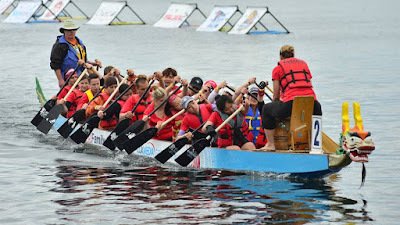 The weekend of September 10 saw the always exciting GWN Dragon Boat Challenge presented by CIBC. 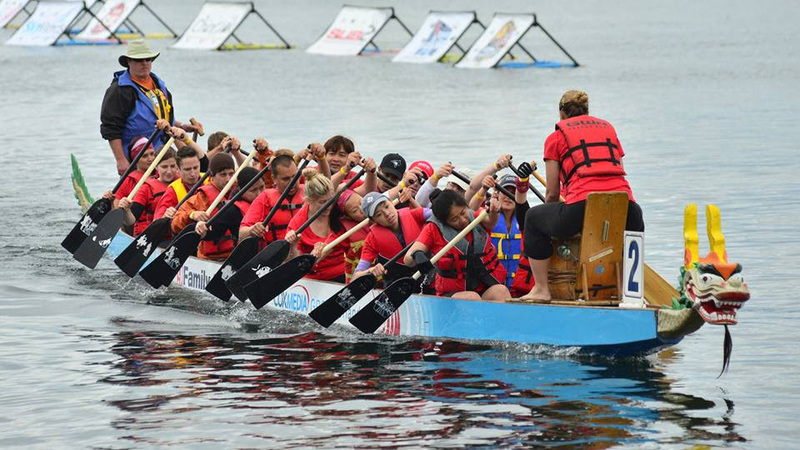 The Challenge celebrated two days of racing at Toronto's beautiful Marilyn Bell Park. The festival has been running now for over 20 years and is a fun event for racers and spectators alike. The grounds offer a variety of activities for all ages including live entertainment on the stage, a Health and Wellness Zone, and an interactive Kids Zone. 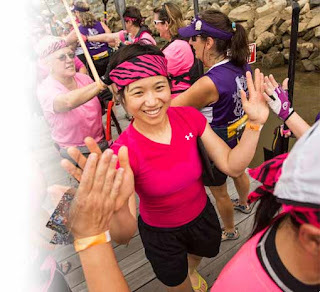 The GWN Dragon Boat Challenge festival is also very proud to benefit the Canadian Breast Cancer Foundation in its vision to create a future without breast cancer. 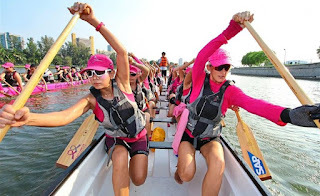 Many breast cancer survivors have taken up Dragon Boat racing as a great way to improve their physical health, participate in regular physical activity, which can reduce the risk of developing lymphedema, share their challenges and celebrate their triumphs with their teammates and community. Each year the festival is home to the CIBC Breast Cancer Survivor Village and offers free entry for its BCS Division. This year, the GWN Dragon Boat Challenge was pleased to host 12 Breast Cancer Survivor teams from across Canada and USA. As a partner to the Canadian Breast Cancer Foundation, Bloomex was pleased to provide 275 pink carnations for this year’s Survivor Ceremony. 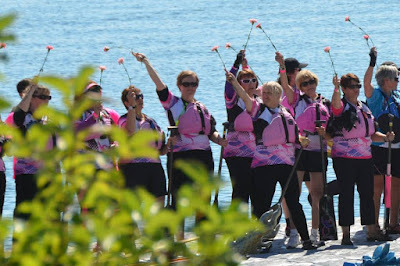 On Sunday, the very moving Survivor Ceremony was held at the park, carnations were given to breast cancer survivor teams on their dragon boats as well as to other survivors and their families. A moment of silence was held in remembrance of all those who passed away from breast cancer and carnations were spread through the water in memory and honour of their peers. October is breast cancer action month in Canada. Bloomex is delighted to announce a new Pink Ribbon Collectionwith 15% of product sale going to CBCF, as part of a minimum commitment of $3,000. More information coming soon! The Collection will be available as of October 1. Click for more informationabout CBCF. 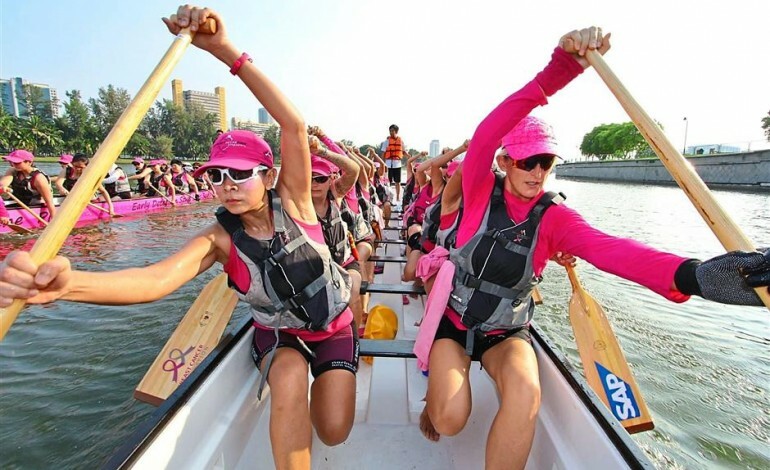 Click for more information about theGWN Dragon Boat Challenge.